“Business Model in a Digital World” Michael Golden, Fisher Auditorium, Gannett Hall. “Ethical Decision Making in a Digital World: The New Challenges of Doing the Right Thing” Hearst TV executives, Fred W. Smith Forum. “Bearing Witness” Carol Guzy, Fred W. Smith Forum, Reynolds Journalism Institute. “Magnetic Ideas That Win Hearts and Minds” FleishmanHillard, Reynolds Journalism Institute 100. Q&A on Media in Myanmar with Aye Aye Win, Fisher Auditorium, Gannett Hall. “Why Diversity and Journalism Service Matter” Greg Lee, Fred W. Smith Forum, Reynolds Journalism Institute. “Investigating Power and the New Journalism Ecosystem” Charles Lewis, Middlebush Auditorium. Columbia, Mo. (June 25, 2013) — The Missouri School of Journalism has announced its recipients of the 2013 Missouri Honor Medal for Distinguished Service in Journalism. The award, considered one of journalism’s most prestigious, honors career-long outstanding service to journalism. Among the distinguished journalists, advertising and public relations practitioners, business leaders, institutions and media organizations that have received the medal are Tom Brokaw, Christiane Amanpour, Sir Winston Churchill, Gloria Steinem, Deborah Howell, David Granger and Gordon Parks. Hearst Television, national multimedia company. Michael Golden, longtime New York Times executive and chairman of the board of directors, International Center for Journalists. Carol Guzy, Pulitzer Prize-winning staff photographer, The Washington Post. Greg Lee, executive sports editor, South Florida Sun Sentinel. Charles Lewis, author and investigative journalist. Aye Aye Win, correspondent, The Associated Press-Myanmar. Guided by the principles established in 1946 by the firm’s founders, the St. Louis-based agency has evolved into a complete communications firm – capable of working across paid, earned, shared and owned media. The company’s diverse industry sectors are technology, public sector, financial and professional services, healthcare, food and agriculture, consumer products and services, manufacturing and industrials, and energy and utilities. Its practices are reputation management, brand marketing, public affairs, research and analytics, media relations, strategic integration, digital, and social. FleishmanHillard’s culture, built on a foundation of global collaboration, closely connects colleagues worldwide and is recognized across the industry: Ad Age’s 2012 “Best Places to Work”; Ad Age’s 2013 “Standout Agencies”; “Top 50 Companies for Executive Women” by the National Association for Female Executives (four straight years). To maintain this high standard, the company gives employees the best professional experience of their career. FleishmanHillard’s 2,500-plus employees in 80-plus offices across 29 countries are redefining the traditional definition of public relations. From the company’s offerings to its initiatives – to its new look in 2013 – FleishmanHillard is the agency most reflective of the times. In recognition of decades of commitment to the highest standards of strategic communication. Hearst Television, a national multimedia company, owns and operates 29 local television stations and two local radio stations, serving 30 U.S. cities and reaching approximately 18 percent of U.S. television households. The TV stations broadcast 60 video channels, featuring local and national news, weather, information, sports and entertainment programming, and local community service-oriented programs. The stations also host and operate digital online and mobile platforms that extend the company’s brands and content to local, national and international audiences. Hearst Television is recognized as one of the industry’s premier companies, and has been honored with numerous awards for distinguished journalism, industry innovation, and community service – including multiple Peabodys, national Edward R. Murrow Awards, National Headliner Awards, National Association of Broadcasters Service to America Awards, and USC Annenberg Walter Cronkite Awards, honoring Hearst Television as a nationwide leader in election coverage. Hearst Television is a wholly owned subsidiary of Hearst Corporation, which in 2012 celebrated its 125th anniversary. In recognition of its core commitment to vigorous and accurate journalism that informs and serves the communities it serves. Michael Golden was appointed vice chairman of The New York Times Company in October 1997, the same year he was also elected to the Company’s Board of Directors. 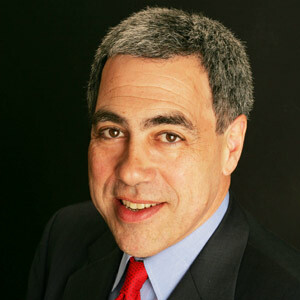 From 2009 to January 2012, Golden served as president and chief operating officer of The New York Times Company Regional Media Group. He served as publisher of the International Herald Tribune from 2003-08. From 1997 to 2003, Golden served as chief administrative officer for the Company. Previously, Golden served as the Company’s vice president for operations development from 1996-97. He was executive vice president and publisher at the Company’s Tennis magazine from 1994-96. Before that, he served as executive vice president and general manager of the Company’s Women’s Publishing Division from 1991-94. The Times Company sold its Women’s Publishing Division in 1994. Golden earned a bachelor of arts degree with honors in 1971 and a master’s degree in education in 1974 from Lehigh University in Bethlehem, Pa. He earned a master’s degree in journalism from the Missouri School of Journalism in 1977 and an MBA in 1984 from Emory University in Atlanta, where he achieved membership to the national honorary business fraternity. Golden is chairman of the board of directors for International Center for Journalists, a Washington-based non-profit organization that raises journalism standards through hands-on training workshops, seminars, fellowships and international exchanges. Additionally, Golden serves on the boards of The Associated Press and the Newspaper Association of America. In recognition of his career of using the best in management practices to sustain and promote the best journalism. 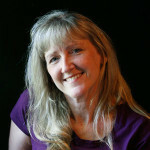 Carol Guzy is a four-time Pulitzer Prize-winning photojournalist who is currently a staff photographer at The Washington Post. Her assignments include both domestic and international stories and documentary reportage. She has been honored twice with the Pulitzer Prize for Spot News Photography for her coverage of the military intervention in Haiti and the devastating mudslide in Armero, Colombia. Guzy received a third Pulitzer Prize for Feature Photography for her work in Kosovo. She is the only journalist to ever receive a fourth Pulitzer, this one for coverage of the Haitian earthquake in 2010. Guzy has been named Photographer of the Year for the National Press Photographers Association three times and eight times for the White House News Photographers Association. She has earned other prestigious awards in her chosen profession of photojournalism. Photojournalism was not Guzy’s first career choice. She received her associate’s degree in registered nursing at Northampton County Area Community College in Bethlehem, Pa., before earning her associate’s degree in applied science in photography at the Art Institute of Fort Lauderdale in Florida. Guzy interned at The Miami Herald while at the Art Institute and was hired as a staff photographer upon graduation. She spent eight years at the newspaper before moving to the Post in 1988. In recognition of her creative and principled use of the camera in pursuit of compassion and social justice. 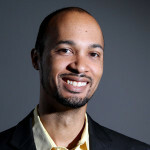 Greg Lee has served as the executive sports editor of the South Florida Sun Sentinel since September of 2012. He leads the newspaper’s coverage of four professional teams in South Florida, including the Miami Heat, coverage of the state’s college programs, more than 300 high schools and the paper’s digital efforts in sports. Lee spent the previous eight years at the Boston Globe where he was the senior assistant sports editor, managing reporters and leading the section’s daily coverage. In 2008, Lee led the section’s coverage of the Boston Celtics’ championship run and its first NBA title in 20 years and served the Globe as its lead on-site editor at the Summer Olympic Games in Beijing. 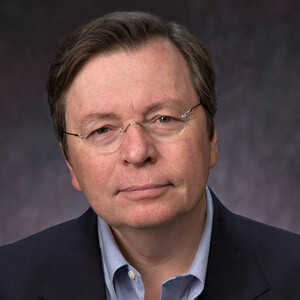 Before heading to the Globe, Lee was an editor at The Washington Post, where he held a number of positions during his five-year tenure. Prior to working at the Post, Lee worked at the Times-Picayune in New Orleans as a copy editor, later advancing to slot editor, where he was responsible for designing the sports section and running the sports desk. Throughout his college years, Lee worked as an editorial assistant in the sports department for the Times-Picayune. Lee is a 1996 graduate of Xavier University in New Orleans. Lee is the 19th president of the National Association of Black Journalists and has served the organization in other capacities. He is also co-director of the Sports Journalism Institute, an annual nine-week training and internship program for college students interested in sports journalism careers. In recognition of his career-long commitment to finding and nurturing talented sports journalists. A best-selling author and national investigative journalist for the past 30 years, Charles Lewis is the founder of the Center for Public Integrity (including its International Consortium of Investigative Journalists) and several other nonprofit organizations. He left a successful career as an investigative producer for ABC News and the CBS News program 60 Minutes and began the Center from his home. Under his leadership, the nonpartisan Center published roughly 300 investigative reports, including 14 books, from 1989 through 2004, and was honored more than 30 times by national journalism organizations. The Center won the first George Polk Award for Internet Reporting for identifying that Halliburton had received the most money from U.S. war contracts in Iraq and Afghanistan. Lewis was awarded a prestigious MacArthur Fellowship in 1998 and PEN USA’s First Amendment award in 2004. The Encyclopedia of Journalism cited Lewis as “one of the 30 most notable investigative reporters in the U.S. since World War I” in 2009. Today he is a tenured professor of journalism at the American University School of Communication in Washington and since 2008 the founding executive editor of the Investigative Reporting Workshop, the largest (out of 18) university-based investigative reporting and documentary production center in the U.S. Since 1992, Lewis has traveled and spoken publicly in 23 countries on five continents. He is a 1975 graduate of the University of Delaware with honors and distinction in political science and a 1977 master’s graduate of the Johns Hopkins University School of Advanced International Studies. In 2009 he received an honorary degree from the University of Delaware. In recognition of his relentless pursuit of investigative journalism that relentlessly seeks out the truth for citizens. 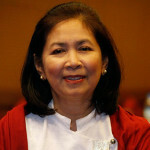 Aye Aye Win is an award-winning correspondent for The Associated Press in Myanmar, the first international news agency to open a bureau there since a reformist government took power in 2011. Win started reporting from her native country in 1989. Her father, Sein Win, was a reporter in then-Burma; he was imprisoned three times in his pursuit of press freedom. It was during one of his stints in jail, in 1988, that Aye Aye Win stepped in to cover a pro-democracy uprising. She learned about journalism from her father and joined the AP a year later. During her nearly 24 years as a journalist Win has been fortunate not to be jailed like her father or her husband, also a journalist. She has been exposed to other challenges, including being questioned, warned and threatened. Her phone line has been tapped occasionally, and a few articles in the state-run media have accused her of being a traitor. The intimidation and interrogation ceased after the military intelligence machinery was dismantled in late 2004. Covering anti-regime protests and following the political activities of Myanmar’s main opposition leader Aung San Suu Kyi had been very difficult and often risky until three years ago. The International Women’s Media Foundation conferred its Courage in Journalism award on Win in 2008. That same year the Associated Press Managing Editors honored her and other AP staffers for their coverage of the devastating Cyclone Nargis under difficult conditions. Win received the AP’s Oliver S. Gramling Award for excellence in 2004. Win earned her master’s degree in English from the Rangoon Institute of Education. In recognition of life-long dedication to honest and courageous journalism, often at the risk of personal safety.